Executive Training Program for "Capturing CPEC Opportunities"
Team cohesion is paramount for high performance and high productivity and it breaks with behavioral mistakes. 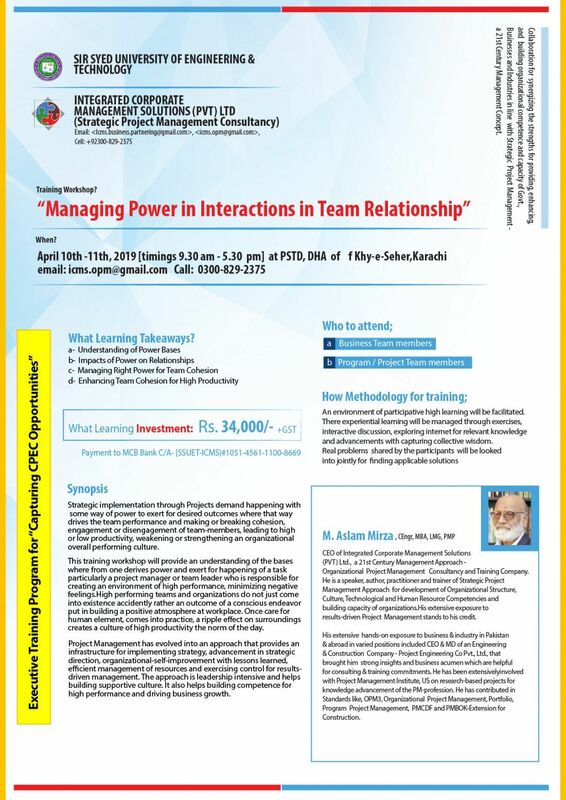 How to overcome the problem and manage a high performing team in stressful times all through project implementation? 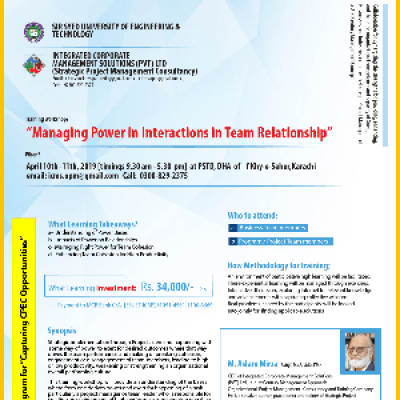 The workshop will discuss the underlying factors for making or breaking team cohesion.